Up until now, the university has educated more than 100,000 students for the nation and more than 1500 overseas students from 70 countries. The university boasts of 12 colleges: Biomedical College, college of medicine, the first College of Clinical Medicine, the Second College of Clinical Medicine, College of Literature, College of Science, College of Agronomy and Horticulture, College of Veterinary Medicine, College of Foreign Languages and Adult Education. There also three teaching departments, two scientific research centers as well as eight affiliated teaching facilities of the University. The University possesses a strong teaching force with 1366 on staff. Its equipment for teaching and scientific research is valued at $13 million, 1.40 million volumes of books in the library, as well as two affiliated hospitals and five nonaffiliated hospitals with 3000 patient beds. The first affiliated hospital, situated at the intersection of Hebei Province, Shanxi Province, Beijing and Inner Mongolia, is a first-class hospital with an excellent environment and advanced infrastructure and equipment. The existing academic areas of the university cover ten academic classifications, which are medicine, agronomy, literature, pedagogy, law, management science, history, economics, science, and engineering, belonging to 76 academic areas of undergraduate and postsecondary specialized schooling. Clinical medicine is a traditional and specialized academic area. Laboratory medicine, medical information management, and information system were first set up among other universities in Hebei province, so also was forensic medicine among the first in universities of Hebei province. Graduates of the University are appreciated by their employers all the time, and the schools quality has been approved of by the society. Now, the employment rate for medical graduates of Hebei North is highly ranked compared to other universities, while the employment rate of laboratory medicine undergraduates is now 100% and the supply of all agronomy graduates falls short on demand. After many years of development, we possess numerous superior academic areas, such as pathology and pathophysiology, human anatomy, histology and embryology, pharmacology, clinical laboratory test diagnostics, mathematics, computer application, Chinese literature and linguistics, animal and plant reproduction, and veterinary science. These courses have a strong influence in Hebei province, and even in the whole country. The papers published in ''Science Citation Index'' have been increasing year by year and the ability to blaze new trails has been raised in the university. Pathology, pathophysiology, human anatomy, histology and embryology, pharmacology, etiology, crop cultivation and plowing, internal medicine, preventive veterinary, ancient Chinese literature and basic mathematics are key academic areas in the university. Among those, we also offer Master's degrees in pathophysiology, human anatomy, histology and embryology, pharmacology, microbiology, and immunology. Pathophysiology and Experimental diagnostics are two provincial elite courses. Pathophysiological department of the university takes the lead in the country conducting lymphatic microcirculation investigation in vivo, of which physiological and pathological investigation in lymphatic microcirculation is characteristic in Hebei province, with its research achievements being internationally recognized and receiving provincial awards several times. The staff of the University actively investigates and examines new teaching methods to improving students’ ability, and has been applying them and receiving better results. According to the philosophy of education that is to Broadening Knowledge, Enforcing Basic Knowledge, Improving Ability and Raising Quality of life, the syllabi have been revised; the ratio of compulsory courses to elective courses has been adjusted and the content of quality education has been increased. In the University, the designated elite courses and provincial renowned courses have been constructed. After the necessary investments and implementation of this policy, not only were twenty-five courses selected as the university's elite courses, but also the quality of teaching staff has improved with Experimental Diagnostics and Pathophysiology being the two provincial elite courses. At present, the university possesses eleven research institutions, which are Pharmaceuticals, Lymph Microcirculation, Immunology, Psychiatry and Psychology, Medical Imaging, Food-science, Animal Husbandry, Economics, Culture Resource and Property, Applied Chemistry, Art Studies and Design research institutions. All these institutions play important roles in social development. The university attaches great importance to its textbook editing. In the recent years, lots of professors held the post of chief editor for many textbooks, such as Pharmacology, Human Anatomy, Histology and Embryology, which was organized by the Ministry of Education and Ministry of Health. Many of our textbooks, i.e. our Pharmacology textbook, have received national prizes. The university possesses a strong teaching force, with 223 professors and 327 associate professors, while engaging more than 80 distinguished scholars from home and abroad as well as honorable professors or part-time professors. Among our teachers are 30 provincial-managed excellent experts, government sponsored experts and middle-aged or young experts with prominent achievements. Professor Zhangjing, the only winner of the First National University and College Excellent Teaching Prize, was elected outstanding contributing expert in Zhangjiakou, and Niu Chunyu and Zhang Danshen were selected provincial excellent talents. In recent years, the university has been increasing its investments in teaching and research infrastructure. The campus Internet, Medical Testing Center, DNA Testing Center, Multi-media classrooms, frequency modulation and foreign language broadcasting station have been set up. In the library, there are 2922 kinds of journals, electronic reading rooms, documents disk checking system and more than ten kinds of databases, including PQDD, Spinger, and Link. At present, three campuses have been constructed and put into use. The east campus covers 1.14 million square meters of teaching and office complexes with 4000 students. In 2007 the west campus had 300 million RMB worth of investment put into it. The University has reinforced its cooperation with foreign higher learning institutions. 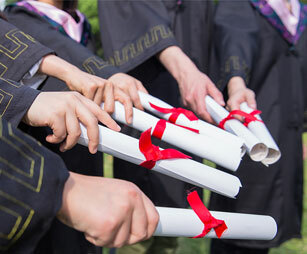 Up to date, many scholars from institutions in America, Canada, Australia, Japan and other countries have been invited as guest professors in the university from time to time, while schooling cooperation agreements between the university and some Universities in Germany, Australia, Mongolia and other countries have been reached. Lots of teachers have been sent overseas to study and gain experience, so the overall knowledge standard of the teaching staff has been rising, and our university has benefited greatly. The Journals of Hebei North University i.e. Hebei North University Journal, Neurology and Pharmacology Academic Journal and Hebei North University Newspaper are in publication and distribution nationwide. In this modern era, the teaching and management system have been reformed and strengthened. At the same time, all amenities and infrastructures have been improved. By a strategic plan placed on graduate education, there is an actively developing postgraduate education that adapts to social needs, serving the local economy, reinforcing science construction and improving teaching quality. The leadership and staff are doing their best to build the university into a modern and open multi-faculty university and a symbol that represents hard work and determination. We believe that our vigorous multi-faculty university will one day be the best of its kind in the north of China. China has become one of the most popular destinations for international students who want to study abroad because of its long history and exciting culture. In 2012, more than 320,000 students from over 180 countries came to China to study for either degree or non-degree programs. Studying in China is an excellent opportunity to experience China's unique blend of ancient and modern civilization, as well as its scenic beauty and bustling nightlife. Considering the size of China's territory, there are a tremendous variety of climates, cultures, and landscapes. At the northeast of the country is Harbin, a city where you can enjoy the ice festival and ski on the mountains. If that’s too cold for you, then head south to the tropical beach paradise of Hainan Island and kick back in the sunshine. Following rapid economic development over the last 30 years, Chinese cities now boast of eye-catching works of modern architecture - from the towering skyscrapers of Shanghai to Beijing's Olympic Bird's Nest - in addition to impressive ancient structures like the Great Wall and the Forbidden City. China's 5000 years of history has promoted the endless amount of tourist attractions, while natural wonders of breathtaking beauty are also scattered about the country. It is convenient and inexpensive to get around in China, all cities have buses and taxis, and larger cities have modern subway systems. Airplane or train can reach every city. China's high-speed railway reaches a maximum speed of over 300 km/h and provides beds as well as dining services. Studying and living in China is cheaper than studying and living in European countries, the U.S., Japan, South Korea and many other countries. Food and other commodities in China are as affordable as it gets. A good pair of jeans sells for 10-20 U.S. dollars; the bus fare only 15 cents, and a subway ticket in Beijing only 30 cents, everything is more than affordable in China. China has been the world's fastest growing country for the past 30 years even during the financial crisis; China's economic growth has maintained a level of 8%, a pace unthinkable in other countries. China's GDP recently surpassed Japan's, the world's top 500 companies are doing business in China, with many choosing to base their Asia-Pacific headquarters in the bustling Chinese cities like Shanghai and Beijing. The current rise of China has made it very clear that people who can speak Chinese and have firsthand experience of living in China have the upper hand. China serves as a huge market for multinational corporations, and employers are well aware that a real understanding of China, Chinese culture, and Chinese people. Most developed countries recognize the academic qualifications awarded by Chinese universities. The Chinese government has signed an agreement on mutual recognition of academic qualifications with some countries including the United States, Britain, France, Japan and 65 other countries and regions. You'll run into unique cultures as you travel to different parts of China, but everyday life, believe it or not, will be just as new and fulfilling. Living and interacting with local Chinese and immersing yourself in Chinese society will provide you with a new way of visualizing the world and giving you the kind of insight that just doesn't come from textbooks.